In order to measure the success of a corporate sustainability program, accurate reporting is crucial. 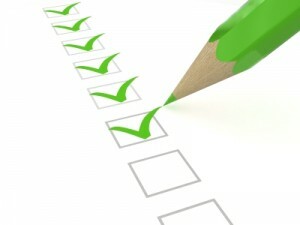 A survey recently conducted by Ernst & Young focused on Corporate Sustainability and Reporting. From those topics, six trends were derived. The survey tells us that company and stakeholder interest in corporate sustainability reporting continues to rise, although the tools are still in their infancy. Chief Financial Officers are emerging as key players in sustainability reporting. Surprisingly, employees are too; they are second only to customers as drivers of company sustainability initiatives. 1. Sustainability reporting is growing, but the tools are still developing. 2. The CFO’s role in sustainability is on the rise. 3. Employees emerge as a key stakeholder group for sustainability programs and reporting. 4. Despite regulatory uncertainty, greenhouse gas reporting remains strong, along with growing interest in water. 5. Awareness is on the rise regarding the scarcity of business resources. 6. Rankings and ratings matter to company executives. Pratt employees have embraced sustainable practices and keep pushing to improve our sustainable activities both within the company and the community – and for our customers.